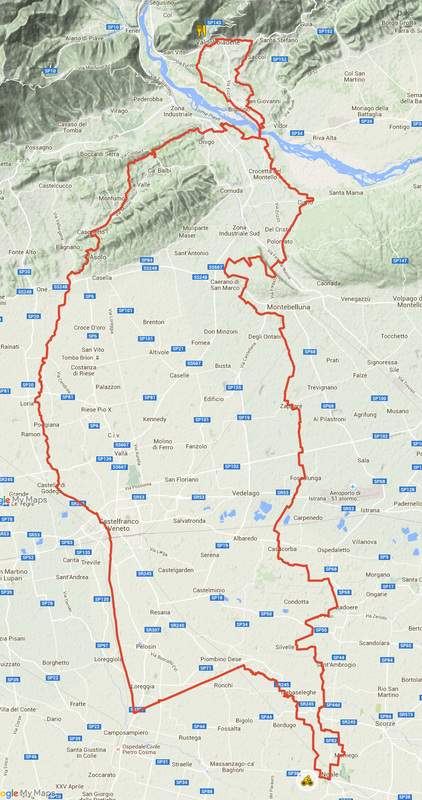 Collective ride 40, 100 and 150km along the Strade Bianche in Veneto. Yoga for bikers: Yoga meetings dedicated to the two wheels. Meetings and special guests: Meetings, book presentations, bicycle stories. Workshop: Workshops on photography, bike-packing, cooking workshops… all regarding the bike. Travelers will gather in the 3 nearest towns. From Padua, Mestre and Treviso cycling in the night towards Noale. At the arrival, beer and gourmet street food. Microrchestra pays a tribute to Toni Bevilacqua – a theatrical-musical show. Live concert of Ulisse Schiavo. 6.30-8.30am REGISTRATION AND DEPARTURE FOR COLLECTIVE RIDE BAM100! AND BAM150! French start between 6.30 and 8.30am. The bike is a machine which produces happiness. Presented by Ediciclo. The journey on a bike: meeting with school children. Meeting with Willy Mulonia, Angelo Sentieri and other great guests. Yoga meetings and moments for bikers. Which bike to use to cross Italy? Which bike to use to go to Alaska? Mauro Bertolotto (Pedal Domani) will tell us. Bikepacking and bikecooking: journey recipes. With Miss Grape and chef Cristiano Sabatini. Chronicles of the amazing journey of 10 “losers” in Patagonia. The 10 best bicycle stories in maximum 7 minutes each. As a reward two Pedaled outfits. “La Repubblica delle Biciclette – the history of Italian’s on a bike”, is the first concert ever made by a band on a bicycle. After the concert and a few beers we will leave together with they guys of Night Ride to continue pedaling at night towards a secret destination. Because our passion never sleeps. A ride of 40km with gourmet breaks. Workshop on how to build your own bike. Photograph and narrate the world from the saddle. With Tarantola and Jack Flanella. Meeting with great travelers: Fabio Consoli, Willy Mulonia, Michela Ton and Caterina Borgato. Meeting with the authors Davide Stanic and Alberto Fiorin. With Guido Foddis and Loris Giuriatti – Tea, coffee, hugs and travel plans. The event will be held also in case of bad weather. In case of rain, the camping area will be moved inside the gym of the elementary school Vittorio da Feltre (access from Via Gibirossi and from Parking Rocca). The workshops will be held inside the BAM stand. Concerts and entertainment will be in the pub. at the Sports Hall (Palazzetto dello Sport) via De Pol close to Acquaestate. Parking available in Via Vecellio. Three organized tours of 40, 100 and 150km through Veneto’s strade bianche (dirt roads). BAM40! 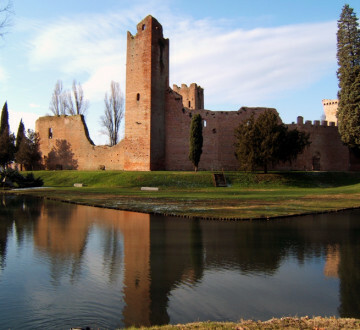 Is a journey through the often unexpected campaigns and landscapes around Noale, with 3 breaks with food and wine: in the green of Martellago’s Golf, in the beautiful square of Badoese and back at Noale. A ride for everyone, wherever you are trained or not, with families and friends. Voluntary contribution of participation: min. 15 euros. BAM100! is a journey of 100 km, is a way to discover the hidden corners of our country, to understand that you can also ride in the heart of Veneto away from roads. It starts from Noale and, passing close to Montebelluna, we ride towards Asolo, where there will be the gourmet break at Porchetta a Manetta, with bread, olive oil, wine and of course pork. Then we move on through the hills of Asolo, to the cycling area of the Ezzelini, the Muson dei Sassi and Ostiglia, then conclude with other original variations. The route is mostly on dirt roads, it is also viable with a racing bike, except in some places, but possibly we recommend sturdy tires, such as ciclocross or gravel. The mountain bike is a great choice. The altitude difference is very little, practically there is just one steep climb before the break at Asolo: hold on!! The helmet is mandatory and we strongly advice the bell: on the bike roads we will cross many pedestrians and it is good to give them the right of way, announce our arrival and say hello! There are crossings which are on roads open to traffic: respect the traffic rules and be careful. BAM! is not a race. When you return, at the village, pasta party and beer. hidden roads, single track along the canals, paths through the vineyards and along the Piave. Even those who know the area well, will be surprised. The route is not for everyone: many kilometers and about 1,500 in altitude, with many ups and downs before arriving in Asolo. A perfect workout for those who prepare randonnées or ultra such as the Tuscany or the Veneto trail. In Valdobbiadene there will be the first break, offered by the City of Valdobbiadene: so, although it will be morning, guests can cool off with a prosecco. The path is almost all on dirt roads: the ideal bicycle is a gravel bike or a mountain bike, but you can also use a racing bike, although we recommend sturdy covers. BAM150! It is not a race. Take time to enjoy the scenery and enjoy the gourmet breaks. Attention to paths which cross roads open to traffic, especially the bridge before and after Valdobbiadene. On the cycling roads give the right of way to the pedestrians.